As NPQ reported, the Movement for Black Lives made its comprehensive policy platform known this past Monday, what they describe on their website as being a “United Front”. It is an important read. In August 2015, following the death of Tamir Rice, a “Movement for Black Lives Convening” engaging more than 2,000 people was held in Cleveland, the first of many meetings and conference calls. This year-long participatory process resulted in the coalition’s far-reaching demands. More than 50 black-led organizations and highly esteemed activists such as Barbara Ransby now present a “Vision 4 Black Lives” that includes six planks and 40 corresponding policy recommendations. Toolkits are offered on how to conduct long-term advocacy campaigns. Their demands and strategies (including links to bills that can be used as model legislation at the federal and state levels) address issues and root causes, not just police violence. Policy is only one tactic. Protest, direct action, and more engagement at all levels are all essential elements of the movement’s work going forward. As this platform launches in the context of the Democratic National Convention, we also recognize that neither mainstream political party has our interests at heart. We know all too well that the reforms that have passed at the local and state level do not address the root causes of the killing, dehumanization, and torture of our people. Instead, many increase police budgets and diagnosis the problem as one of “implicit bias” or “bad apples.” At best these are band aids on gaping bullet wounds, and at worse they are interventions that simply increase corporate and state power and make it easier for the state to devalue and destroy our communities. There is nothing lukewarm about the movement’s clearly defined demand for practical forms of reparations, which is just one of the six planks in the movement’s platform. Is the movement going too far, asking for too much too soon? Should the movement stick to protesting police violence? It would seem that the new Movement for Black Lives is taking up the mission that King bequeathed when he was assassinated. While King is remembered today mostly as a peaceful and unifying figure, his nonviolent resistance generated controversy and was vigorously disruptive. 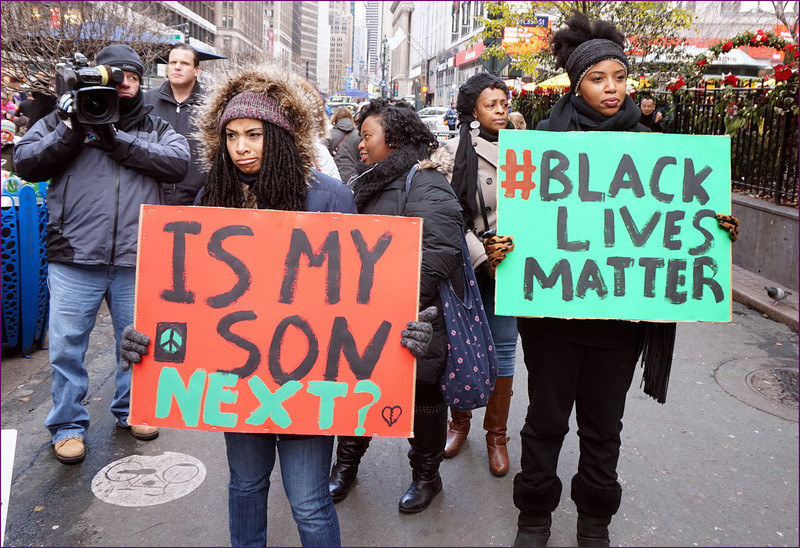 Is the Movement for Black Lives too impatient and uncivil in promoting their agenda? If not, the movement’s web site invites willing visitors to endorse their platform. There can be no liberation for all Black people if we do not center and fight for those who have been marginalized. It is our hope that by working together to create and amplify a shared agenda, we can continue to move towards a world in which the full humanity and dignity of all people is recognized. “Is the Movement for Black Lives on the right side of history?” Martin Luther King Jr. would likely ask our nation’s people today to either reject or support the movement’s platform, but to not “bewilder” by simply wishing the movement the best of luck. In the face of a decade of persistent organizing, the Bay Area Rapid Transit board of directors unanimously voted to rename a road under Fruitvale Station after Oscar Grant, a young man and father who was killed on the station platform in 2009.